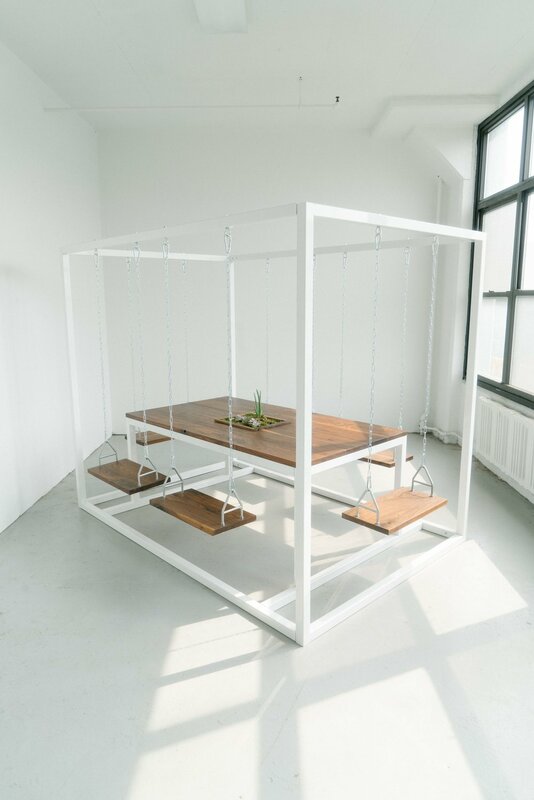 A hybrid of a swing-set and a table. 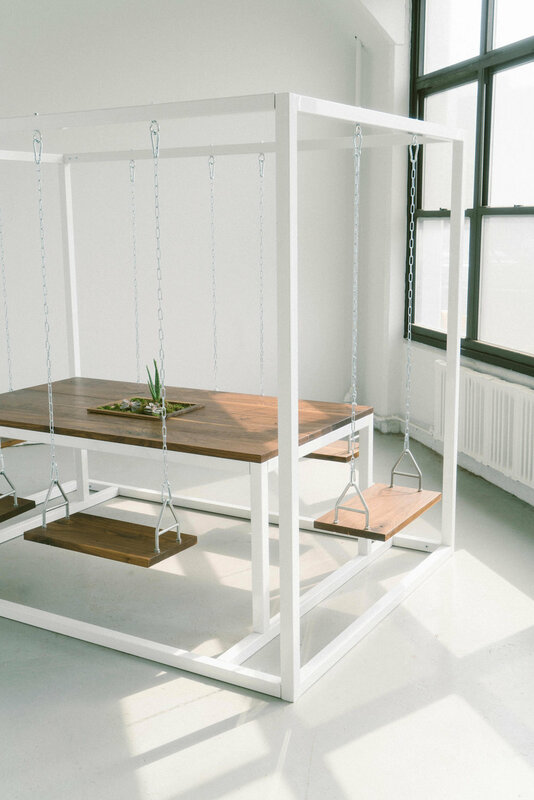 Can be made for indoor or outdoor use. Square top located in the center, with swing-seats on all four sides.